Got 5-10 minutes spare. 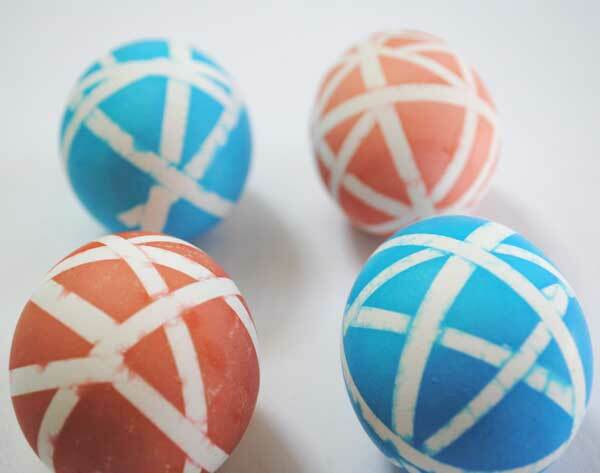 Why not have a go at making these fun pattern dyed eggs for Easter? 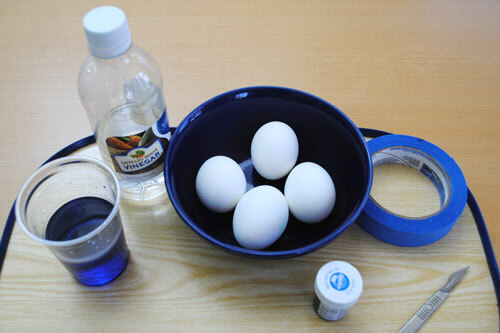 Start off by making your dye. Into a plastic cup add hot water so it is about 2/3rds full. Pu in a dollop of gel food coloring and give a good stir to make sure it is completely dissolved. Top up the cup with white vinegar so it is half full. 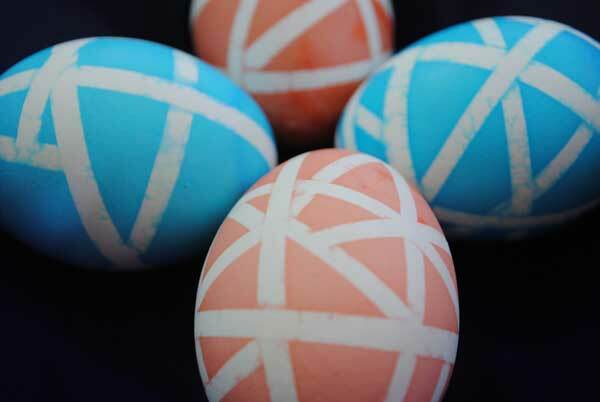 Prepare your eggs. 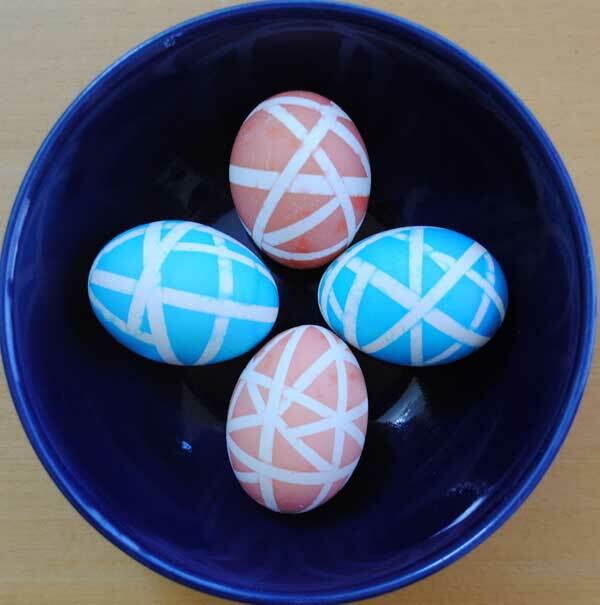 I am going to assume you know how to make hard boiled eggs. 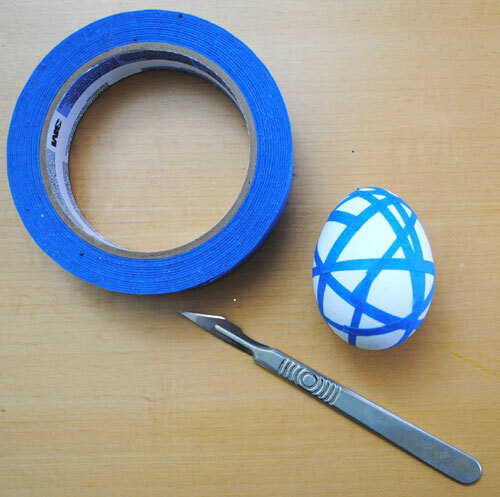 Once they have cooled cut thin stips of painters mask tape and stick them around the eggs. I went for a simple random placement but you could go for something more exotic. 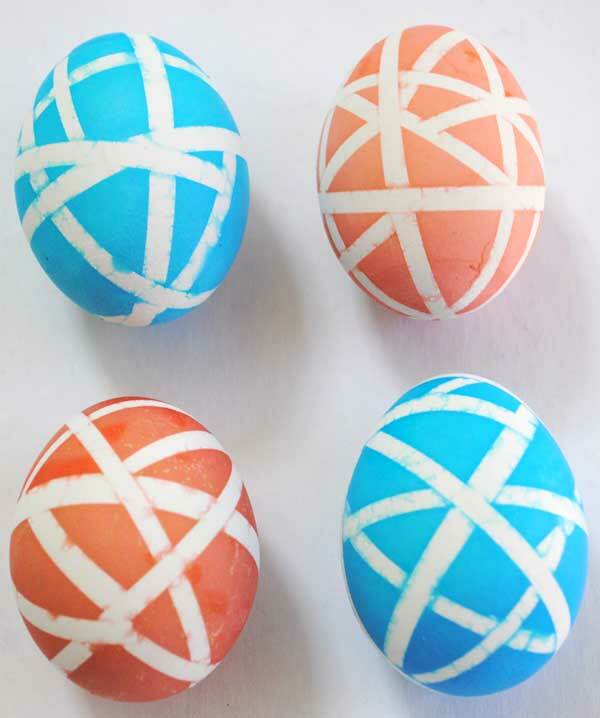 Put you egg into the dye and turn the eggs over slowly with a spoon. 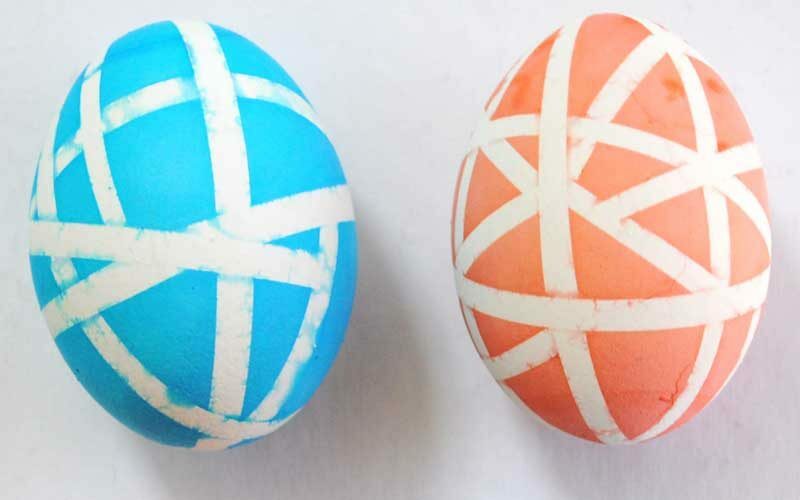 the longer you leave the egg in the deeper the color. 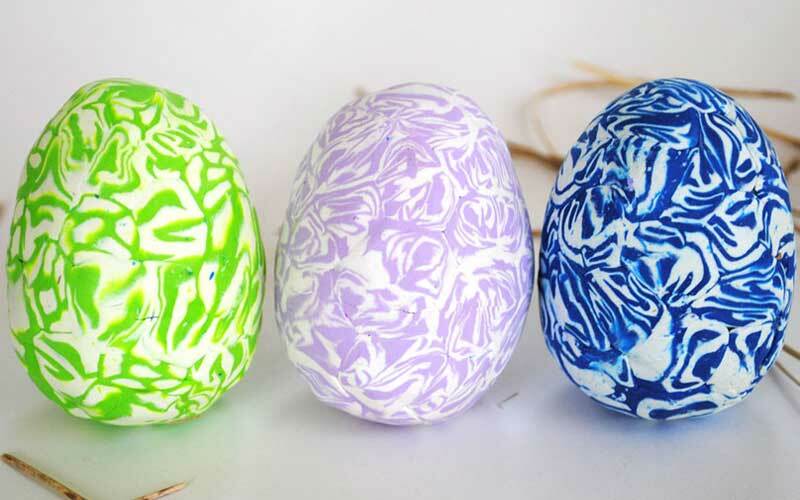 The dye only takes to the exposed area of the egg. Aren’t they pretty. 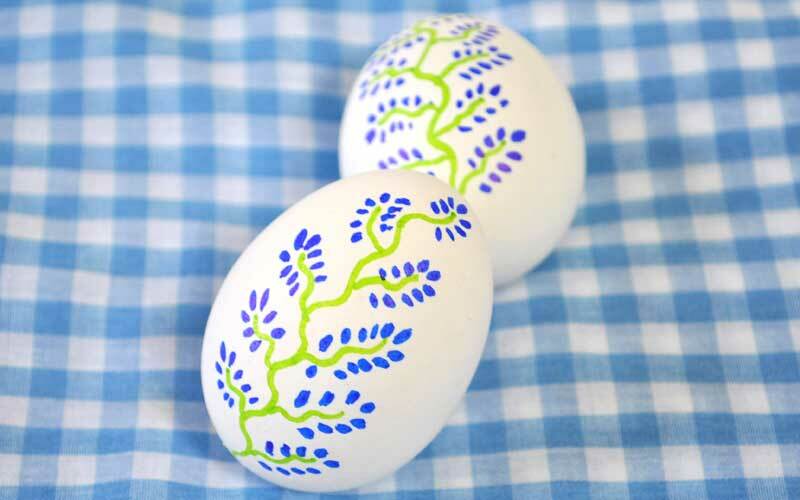 This entry was posted in Celebrate in Style, Craft Projects, Easter, Holiday Projects. Bookmark the permalink.